Runner check-in and course review meeting will be on. At the race check-in runners will pickup their BIB, shirt, and goodie bag. On May 30 will be an event and course review meeting to prepare runners for the race. 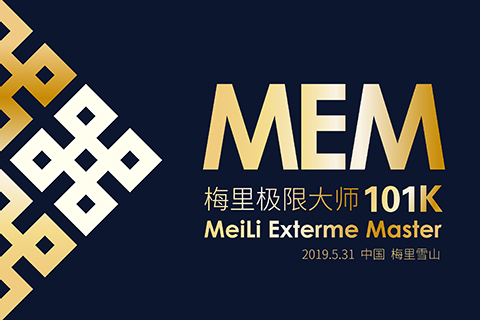 The MeiLi 100 Endurance Race race takes place on May 31, 2019.Runners will need to plan a 6-day travel itinerary to arrive into MeiLi Snow Mountains on May 29 and depart on June 3. All runners must adhere to the race regulations and rules to ensure safety and fairness for all participants, volunteers, medical staff, and organizers. Respect wild animals, plants and leave no trace behind. Large-scale events will inevitably impact the environment, and runners must do their utmost to protect the environment. Littering on the trail may result in disqualification. We ask all runners to help us monitor the situation and remind others who break the rules. Runners are not allowed to take away bottles, bowls or other disposable objects from a Check Point Station. Please bring your own portable cup, bottle, or hydration pack. Please use the rubbish bag provided in race pack for personal rubbish during the race. Littering is strictly prohibited. Runners must go along the marked race course independently and without any use of transportation. Runners must be familiar with the course map and understand how to navigate. Runners are advised to bring a GPS navigation device and consult their GPS devices when they're unsure of which way to go. Runners must present a valid proof (Original Passport) of identity to claim their race pack, bib and timing chip. There is a time limit at each Check Point, study the time cutoff requirements on the course page. Runners must reach and depart the Check Point before the time limit to proceed on the race. If exceed the time limit, runners must stop at the Check Point and wait for repatriation buses back to the finish. The bib must be worn in the front and on the top layer so it is clearly visible at all times during the race. The race bib and timing chip must be kept on at all times, any loss will result in disqualification. Emergency contact number printed on the race bib. For safety consideration, we recommend you to write down your emergency information on the back of the bib before starting. In order to participate in this race, the following equipment is required. However, it is important to note it is the minimum necessary and that each trail runner must adapt it according to their needs. It is important, in particular, not to choose clothing that is the lightest possible weight in order to gain a few grams but to choose items which will give real protection against the cold, windy, and mountain weather, therefore giving a good level of protection and performance. Required equipment check will be conducted at Starting point. Medical emergency aid will be provided by the organization at the Start, Supply Posts, and the Finish. Please contact the emergency number printed on the race bib for help when needed. If a participant gets injured in a dangerous accident caused by unpredictable force, the race organizer will do our best to provide rescue and assistance after the race, but will not bear direct or indirect liability for compensation. This also applies to the volunteers. If a participant abandons the race on the course, please go to the nearest Check Point. An abandon statement is to be signed and your race bib will be marked. 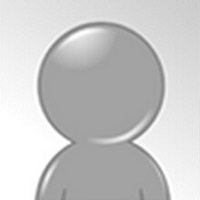 Repatriate service will be provided by the organizer to assist you to return to the Finish. If you abandon on the course without notifying the organization, the organization will not take any responsibility for all subsequences. Individual accident insurance for all runners and volunteers covering race days will be purchased by the organizer. Transfer of race entry is strictly forbidden. Insurance claims, such as medical assistance, will be borne by the people who try to transfer race entry. Both runners who transfer their race entry will be disqualified from running in future events.